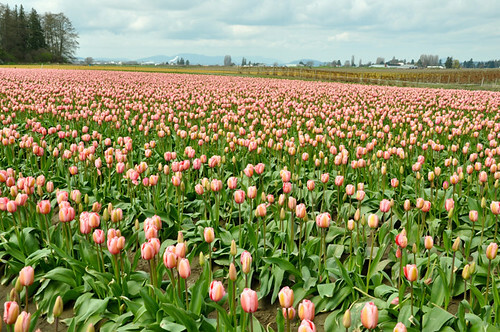 The Skagit Valley Tulip Festival is now open for 2013, running from April 1st until April 30th in Washington State around La Conner and Mount Vernon. 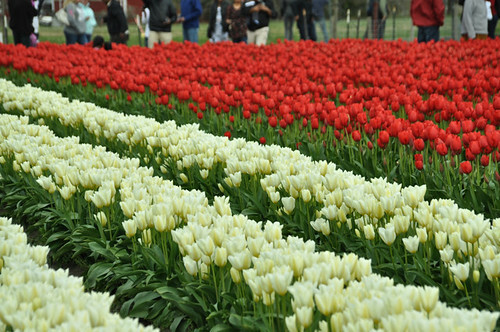 You can drive to various tulip, daffodil and iris fields and events or do a cycling tour. There are dozens of locations for activities with Tulip Town (15002 Bradshaw Road) and RoozenGaarde (15867 Beaver Marsh Road) being hubs. View the newly enhanced Veterans Memorial Garden and visit the International Peace Gardens. Learn why the Tulip is world’s Peace Flower. Enjoy fresh-picked tulip bouquets, visit the garden shop (for potted tulips, daffodils, hyacinths, peonies, and more), pick up posters and souvenirs, and stop by the Tulip Cafe. On top of the tulip fields there is an indoor show, mural, and artwork for sale. Open daily in April from 9:00am to 5:00pm (later if weather permits). Admission is $5 per person, all military personnel with ID $4, children 10 and under free. Free parking in all fields. No pets permitted. 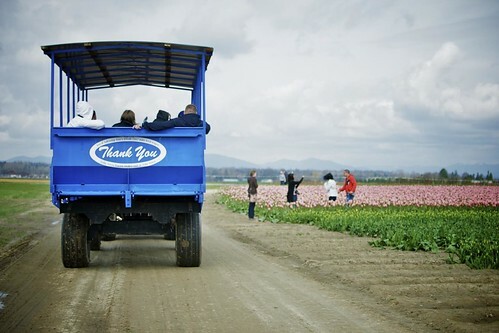 A division of Washington Bulb Co., Inc., the largest flower bulb grower in the United States with over a thousand acres of Skagit Valley tulip, daffodil, and iris fields. Owned by the Roozen family, tulip growers in Holland and the United States since the early 1700’s. 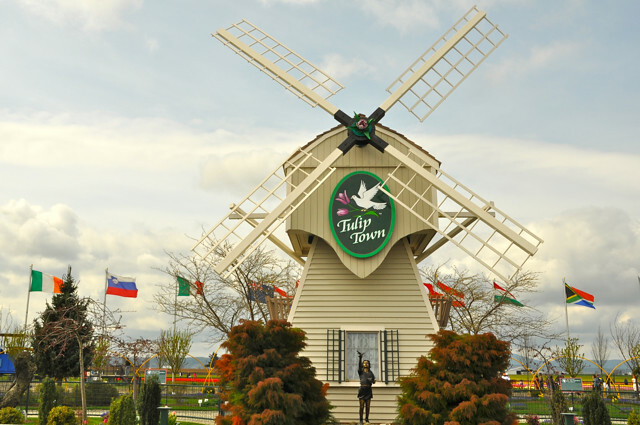 Visit the 3.5 acre display garden planted with over a quarter million bulbs & featuring an authentic Dutch windmill. There are over 100 tulip varieties and 150 varieties of flowers in total in the display garden including daffodils, hyacinths, crocus, iris, and specialty flowers. Garden admission: $5 per person, $4 for military with I.D., children 10 and under are free. Parking is free. 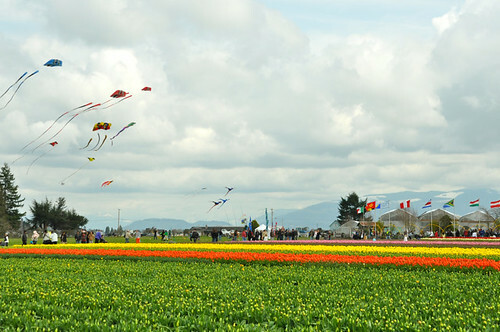 Admission ticket provides free access to all parking areas located in the RoozenGaarde/WBC tulip fields. Admission charge only applies to the spring bloom period. Season passes available. We accept all major credit cards. Open daily 9:00am to 7:00pm. No pets permitted in the garden. There are several special events throughout the month, art shows, and even local museums, breweries, and wineries join in the fun with specials. Mount Vernon and La Conner are about 100km south of Vancouver and 90km north of Seattle just off the I-5. 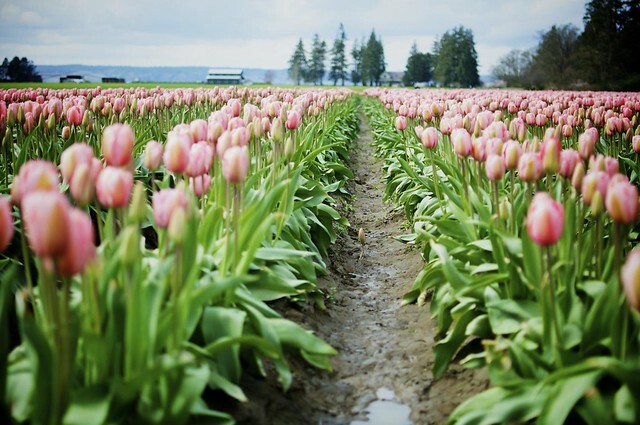 Follow the Skagit Valley Tulip Festival on Facebook and Twitter for more information and stop on by later this month to see all of the beautiful tulips in bloom.